Meditation is a powerful tool and used regularly will enhance your life. 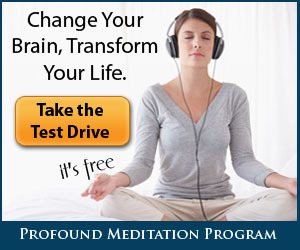 Many people, me included, find it much easier when listening to a guided meditation. There are many available through various online resources, you can search for them on Youtube, Spotify or even just Google it. Here is one that I particularly love and have been getting excellent results from. "At iAwake Technologies we are dedicated to helping the earth’s people heal, wake up and evolve through creating leading edge transformational technologies and promoting and inspiring their skillful use in our daily lives, for we believe that to heal the self is to heal the world. We design an ever growing, ever evolving library of transformational tools that helps millions of people from all walks of life dramatically experience deeper states of joy, peace, creativity and purpose. Using advanced, research-driven approaches in Brainwave and Biofield entrainment, our products are pioneering the emerging field of spiritual technologies. We share the primary mission of countless organizations sprouting everywhere on our Planet to generate a more loving, sustainable and peaceful existence for all living things—and we invite you to sample our 20-minute iAwake track for free to get a sense of the extraordinary effects our solutions provide! We look forward to your feedback." Now is the time to look at our lives and go inside and see what really matters and what we should be doing and how we should be doing it. Now is the time to begin a program of meditation and inner growth for those feeling called..and for those already on the path to re-focus and re-tune. One of the truly miraculous things about being alive today is that we have tools and technologies to aid us in these practices, such as no generations have had before. This is a perfect time to begin or continue using iAwake Technologies to deeply enhance your meditation and to evolve and transform your brain and hence your life in our world.